Mahjong, Mah Jongg, Mah Jong, Ma Jeuk, Ma Jiang. The game of Mahjong (Má Jiàng in Mandarin, Ma Jeuk in Cantonese) is extremely popular both in the East and the West, with many variants in the rules. When you finish a game of Mahjong, perhaps you'd like to draw a few tiles and see what your future might hold in store for you... Each tile (pá) has its own unique symbolism and interpretation. The Diviner and Querent sit opposite each other at a table with the Diviner in the West position and the Querent in the East position. Next, all the Mahjong tiles are spread face down at random on the table and the querent pushes the tiles aside, draws and shuffles 13 tiles, then places them according to the diagram below. Centre (Tile 13) refers to the question at the moment or the central idea. East (Tiles 1, 2, 3) refers to the present situation. South (Tiles 4, 5, 6) refers to the the immediate or near future. West (Tiles 7, 8, 9) refers to the obstacles that may be in your way. North (Tiles 10, 11, 12) refers to the more distant future or the situation as it will be in one year's time. NOTE: As you turn over the tiles you may find you have drawn a Flower or a Season. If this is the case, draw an extra tile and place it next to the Flower/Season tile. 1 Bamboo. PEACOCK (Kǒng). This tile indicates success, often through a change in direction. However, do not allow this success to encourage your own pride and vanity. 2 Bamboo. DUCK (Yā). This tile indicates an enduring partnership, devotion and fidelity. 3 Bamboo. TOAD (Mǐn). Issues involving sickness and medicine are indicated by this tile. This tile also indicates recovery from sickness. Be careful of over-extending yourself or over-ambition. 4 Bamboo. CARP (Lǐ). Peace and contentment lead to a long life. Longevity is indicated. 5 Bamboo. LOTUS (Lián). This tile indicates a new life, a new vision, or a spiritual awakening. It may indicate a new baby. There is a need to begin life anew after troubles. 6 Bamboo. WATER (Shuǐ). This tile indicates travel, especially short journeys, and correspondence (letters, emails etc). 7 Bamboo. TORTOISE (Guī). Success comes through gradual progess and through the process of learning. There may be issues of illegitimacy. A length of time is necessary for success to grow. 8 Bamboo. FUNGUS (Jǜn). A surprise or an unexpected event will come into your life. Issues of virtue may be highlighted. 9 Bamboo. WILLOW (Liǔ). Diplomacy and tact are necessary right now. Strength is found through resilience and flexibility. 1 Circle. PEARL (Zhū). This tile indicates luxury and wealth, honour and refinement. An older woman is important in your life. 2 Circle. PINE (Sōng). Firmness and strength bring success. But always choose diplomacy over outright aggression. Literary endeavours bring highlighted. This tile also indicates an older woman or sometimes a young man. 3 Circle. PHOENIX (Fèng). This tile indicates happiness, joy and splendour. Good news is on its way. 4 Circle. JADE (Yǜ). Hard work brings results. Concentrate on lasting values and building and maintaining long friendships. Justice is done. 5 Circle. DRAGON (Lóng). Good fortune, usually arriving in a sudden and unexpected way. 6 Circle. PEACH (Táo). Fine arts. Aim for beauty in your life however be careful to avoid extravagance or indolence. A young lady is important in your life. 7 Circle. INSECT (Chóng). industriousness. Craft, skill, manual work are indicated. Busy activity over a short time brings rewards, however these rewards may be short-term or temporary. 8 Circle. TIGER (Hǔ). Issues to do with holding authority or dealing with the authorities. Issues with an older man. Bravery and assertiveness are necessary. Uniformed authorities. Superiors. 9 Circle. UNICORN (Qí). You have the ability to see ahead. You can keep ahead of your rivals by seeing through them. 1 Wàn. OPEN DOOR. (Rù). New opportunities have arrived. Obstacles have been removed from your path. 2 Wàn. SWORD (Jiàn). Although there is a balance at the moment, no progress can be made until a decision is made. A choice or a decision is necessary. Twins. 3 Wàn. EARTH (Dì). Stability is indicated. Issues involving relocation, the land, the countryside or an estate. 4 Wàn. LUTE (Qín). This tile indicates a time of relaxation. Music, leisure and the performing arts. 5 Wàn. HOUSE (Fáng). This tile indicates issues regarding a house or a building. Real estate. 6 Wàn. FIRE (Huǒ). Be careful of loss or danger. This tile indicates burning up your resources, mentally, physically and financially. Intelligence and inspiration are also indicated. 7 Wàn. THE SEVEN STARS (Dòu). Your dreams, hopes, ambitions and imagination are important. Especially through writing and literature. 8 Wàn. KNOT (Jié). Tying or untying. The situation is in flux. 9 Wàn. HEAVEN (Tiān). This is the end of a cycle. Achievement and fulfilment. Soon a new cycle will begin. Spiritual matters. A ceremony. East Wind (Dōng). This tile indicates issues to do with the Self. There are new beginnings. The East Wind is associated with spring, the colour green, the dragon constellation (5 Circles) and the element wood. South Wind (Nán). Good fortune, growth and progress are indicated. The South Wind is associated with summer, the colour red, the phoenix constellation (3 Circles) and the element fire. West Wind (Xī). This tile indicates issues to do with your goals and objectives, or to do with your partner. The West Wind is associated with autumn, the colour white, the tiger constellation (8 Circles) and the element metal. North Wind (Běi). You are facing difficulties and lack what you need at the moment. You need to be patient. The North Wind is associated with winter, the colour black, the tortoise constellation (7 Bamboo) and the element water. Red Dragon (Zhōng). Success and achievement of your ambitions. This tile represents the arrow striking the target. Green Dragon (Fā). You can proceed, start or begin now. Go ahead and don't delay. This tile represents the arrow about to be shot from the arrow. White Dragon (Bái). This tile represents the mysterious unknown. Documents are important. Ghosts. This tile was originally a blank tile in the set. Plum Blossom (Lǐ). This is a sign of renewed vitality and new luck. Innocence and inexperience are an asset not a liability. East Wind and Spring. Orchid (Lán). Aim for refinement and the rare and the precious. South Wind and Summer. Chrysanthemum (Jǘ). Pleasure, social activities, leisure and entertainment are indicated. It is associated with the West Wind and the season Autumn. 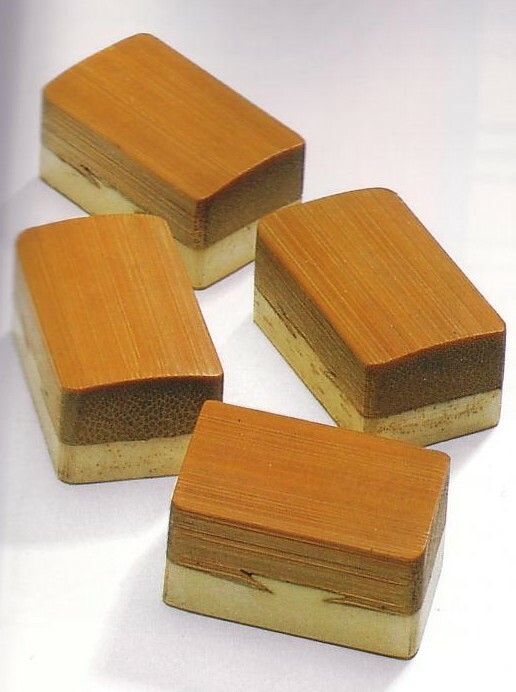 Bamboo (Zhú). This is a time for research, planning, writing, learning and scholarship. It is also associated with the North Wind and the season Winter. Spring (Yú). Strive for common sense, good management skills and good working relationships for success. This tile is associated with the Fisherman. East Wind, the colour green, the element wood and the Plum Blossom flower. Summer (Qiáo). Activity brings success. This tile is associated with the Woodcutter. South Wind, the element fire and the Orchid flower. Autumn (Gēng). Physical and arduous labour are necessary for success. However, hard labour brings many rewards. This tile is associated with the Farmer. West Wind, the colour white, the element metal and the Chrysanthemum flower. Winter (Dú). This is the time to turn towards paperwork, whether literary or administrative and be cautious. You neeed to conserve your resources. This tile is associated with the Scholar. North Wind, the colour black, the element water and the Bamboo flower.